This book examines the critical changes to the Asia-Pacific security architecture emerging in the context of shifts in the global order as the Obama Administration’s major strategic innovation and likely legacy unfold. The author reviews the state of the international security system during the Obama presidency, recording the Administration’s Asia-Pacific inheritance, and tracing its efforts to chart a collaborative course aimed at retaining US primacy amidst strategic turbulence. While security discourses are coloured by relative US ‘decline’ and China’s ‘rise,’ the book points out the competitive-cooperative complexity of interactions, with symbiotic economic ties moderating rivalry. Focusing on the military-security cutting edge of Sino-US dynamics, the narrative outlines the dangers posed by extreme nationalist dialectics in an interdependent milieu. 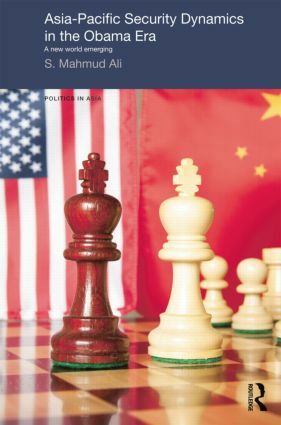 It examines the policies of Japan, Australia, India and Russia towards the evolving Sino-US diarchy, while recording Washington’s and Beijing’s contrasting approaches to these allies and possible adversaries. The book concludes with observations on the loss of definition and clarity as the system evolves with multiple actors bidding for influence, and the need for statesmanship as the systemic fulcrum moves from the Atlantic to the Pacific. This book will be of interest to students and scholars of International Politics, Asian Politics, American Politics, International Security and International Relations.